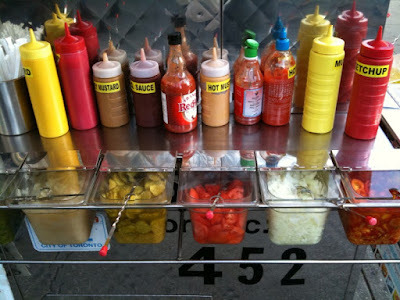 We've entered The Golden Age of Condiments. Economically speaking, of course. Apparently condiment sales "grew 9.4 percent from 2007 to 2009, becoming the second largest category in the specialty foods market behind the perennial stalwart, cheese." Look out, cheese. We're coming. love your blog!! Ill pass it on.. how did you find mine?